Most investors are going to eliminate the extremes right off the bat. You might know intuitively that 0% loss as a maximum means really small gains. You might also look and think there is no way I want to take the kinds of risks to put me into that top category. Right away you're between a 1% and 15% maximum loss. Now it gets a little more tricky and there are all kinds of reasons that today you might select any one of the remaining three. Let's leave picking the "right" answer aside though, and look further. Pretend that you are willing to ride things out and that -21% doesn't keep you up at night. Can an advisor assume that because that is the worst you're willing to accept that all of your portfolio can be invested in assets where that kind of risk is prevalent? Of course not. That's one of the issues with these questionnaires though. To some extent the advisor interpreting the questionnaire might take it very literally, whereas another might not. How is that an effective measure of risk? The other issue is that things change. The markets and investment climate change without a lot of warning. You age and go through lifestyle and life changes because of both decisions you make and things that happen that are out of your control. With those changes your risk tolerance and aversion to loss change. A lot of investors, if you ask them, tell you they're medium risk. They want to take some risk, but not to the point where they suffer significant losses. They want to take that risk though because they want the returns of a "medium" risk kind of investment. What if I told you that the bulk of balanced funds and "medium risk" investments suffered losses in that 15-21% bracket above in 2008 though? Suddenly these mandates where investors most likely self-identify is wholly inappropriate because they're not willing to accept that potential outcome. There are other concerns as well. People respond differently to the same kind of question based purely on the phrasing and how it's asked. Unfortunately people aren't as rational as we think we are! For example, given the choice between a straight gain of $50, or a gain of $100 and subsequent loss of $50, the gain and loss just feels worse. Forget the point, which is that in either case you net a $50 gain. The loss impacts us psychologically. It matters how we get there, and for investors that is very important. Frankly our logic and psychology as humans is full of these contradictions. We might drive across the city to save $15 on a $50 shirt, but we wouldn't make that same trip to save $15 on a $4000 television. The $15 is the exact same, and has the same intrinsic value, but we view it differently. 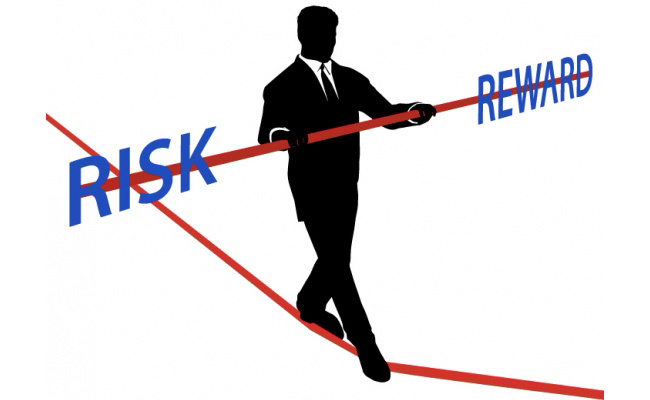 We are also not willing to accept the same risks across accounts; while we might do something high risk with a small amount in a tax free savings account, it doesn't mean that we want our pension or RRSP exposed to that same amount of risk. Traditional risk tolerance questionnaires don't make an allowance for this though. Before I get into a solution though, investors shouldn't feel bad. Major investment firms have issues quantifying risk for their own advisors. One significant firm announced this week that they were re-rating a large number of Canadian energy and materials companies. The risk rating here is being increase from medium to high risk, in part because of the roughly 44% decline in that sector over the past year. I guess that makes sense...but where was the risk really higher; when the prices were 44% higher than they are today, or now that the prices have dropped by that amount? Just probability alone seems to indicate that the odds of a further 44% decline would be unlikely. Regardless though, the risk tolerance of the organization has clearly changed. Inherent in that change is the implication that investors in those securities are either going to change with them, or no longer hold those securities. This isn't because the investor has had a change of mind though; its because the institution has. So what are investors and advisors to do? Well there is another way. Behavioral finance has been signalling a better way for investors and advisors to recognize cognitive and emotional biases that we all share. Instead of asking you questions like that first one, the behavioural practitioner asks things such as "how predictable was the financial crisis of 2008/2009?" The point here is to delve more into your investment personality and by doing so it gives your advisor a better insight into your preferences, biases and how to best approach your portfolio and advice. It's a much more solid and meaningful way to approach the risk conversation than what we have seen over the past decades. Important note: I composed this piece after reading Michael M. Pompian CFA, Colin McLean FSIP and Alistair Byrne PhD, CFA who are the authors of the Behavioural Finance reading #7 for the 2016 level three CFA texts. While I don't believe that any of this is quoted to them, I don't want to take credit for all of the ideas and thoughts here, as I was clearly inspired and influenced by those particular readings.